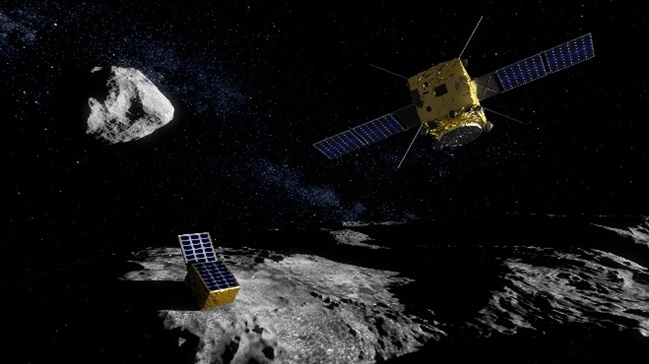 The European Space Agency (ESA) has run through the final approach of its planned Asteroid Impact Mission (AIM), which will see it attempt to land on one of the Didymos double asteroids. AIM will be the first mission to explore a double asteroid, and has a launch window that opens in October 2020. It is part of the joint ESA/NASA Asteroid Impact & Deflection Assessment (AIDA) project, which will see the US space agency launch its Double Asteroid Redirection Test (DART) mission component in July 2021. 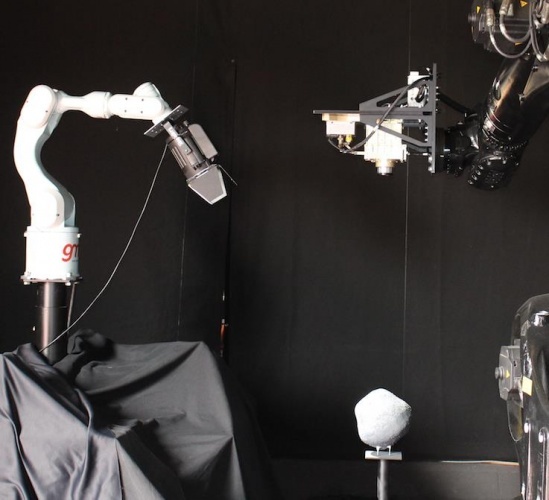 Using a robotic arm to simulate the spacecraft’s approach, the ESA team tested the navigation camera that will hopefully enable AIM to land on the smaller of the two asteroids. The mission will attempt to replicate some aspects of the ESA’s groundbreaking Rosetta mission that saw a probe successfully land on a comet for the first time in history. “One of AIM’s objectives is to put down a lander on the smaller of the Didymos asteroids using onboard autonomy and very limited resources,” said Ian Carnelli, ESA’s AIM project manager. The project will use dedicated visual navigation software and forego more costly proximity sensors. The camera itself has a detector that acquires the images, a ‘frame store’ for their intermediate storage and an image-processing chip to perform the feature tracking, before providing the information to AIM’s guidance and navigation computer. According to the ESA, the vehicle’s laser communication package could also be reused to measure height above the asteroid. “The ultimate goal for AIM is to demonstrate new ways to explore small Solar System bodies in the future, so we are testing this approach as fully as possible,” said Carnelli. Whatever happened to government support for engineering?